Social justice documentary highlighting diversity in the classroom and what to do and not do in the classroom. Created by Christi, Rudy, Tim, and Ryan. Now more than ever, people need to have productive conversations about race, stereotyping, crime, and social justice. In this TED talk, financial executive Mellody Hobson urges us to have these hard, awkward, and uncomfortable conversations about race. Let's not be "color blind" and ignore race. Be "color brave" in all aspects of your life. Not only is it the right thing to do, it is the smart thing to do because our businesses, education, science, research, and life in general, will be better with greater diversity. "Be color brave so that every child knows that their future matters and that their dreams are possible." Jeff Duncan-Andrade outlines how love and compassion towards urban youth are necessarily a precursor to attaining the outcomes we aspire to achieve. More importantly, he suggests that if we are to have SUSTAINABLE paradigm shifts, the roses that emerge from the concrete are going to have to want to return. Open online journal available to individuals interested in articles regarding multicultural education. Skipping Stones is an award-winning, international, non-profit magazine. We celebrate ecological and cultural diversity, facilitates a meaningful exchange of ideas and experiences. Young readers of Skipping Stones, ages 8 to 16, hail from diverse cultural and socioeconomic backgrounds. 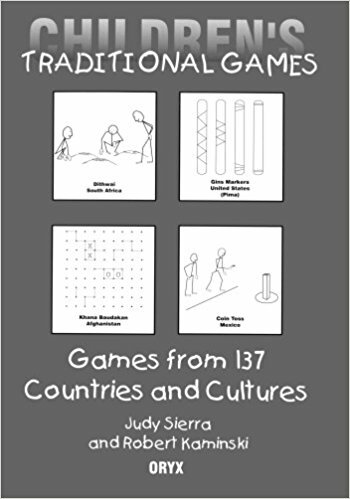 Judy Sierra and Robert Kaminski, renowned storytellers and folklorists, describe popular games from 137 countries and cultures, including over 20 games from Native American groups. Each game is easily learned and can be played by small groups in the classroom or on the playground. Clear instructions are given for all games, and simple diagrams are included where applicable. 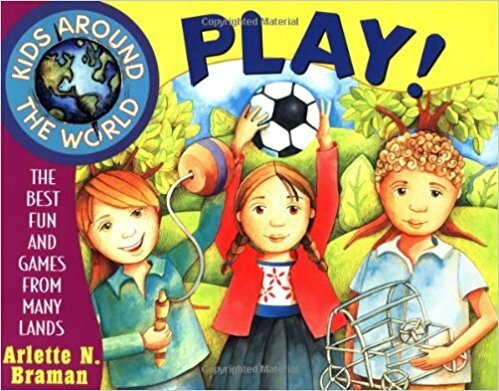 Simple instructions and step-by-step illustrations show children how to play games and make crafts from around the world--from Native American masks to Vietnamese kites--complete with fun facts about the customs of each country. Indian Games and Dances with Native Songs is a collection that conveys the pleasure and meaning of music and play and rhythmic movement for American Indians. Many of the activities here described are adapted from ceremonials and sports. Included is a "drama in five dances" celebrating the life of corn. "Calling the Flowers" is an appeal to spirits dwelling underground to join the dancers. Still another dramatic dance, with accompanying songs, petitions clouds to leave the sky. The Festival of Joy, an ancient Omaha ceremony, is centered on a sacred tree. In the second part Indian ball games and games of hazard and guessing are set forth, as well as the popular hoop and javelin game. Fletcher closes with a section on Indian names. The authors of this book have brought together a comprehensive collection of training methods and exercises used by top trainers in the cross-cultural field. They include not only descriptions of methods but also examples of activities and suggestions for creating one's own exercises. The second volume includes articles by thirty-four leading cross-cultural trainers and covers new or divergent training methods for cross-cultural skill development and intercultural learning. These include self-awareness inventories, videotapes, small group exercises, area studies, and an insightful collection of other methods from the programming of field studies to the use of cross-cultural dialogues, culture heroes, and visual imagery. 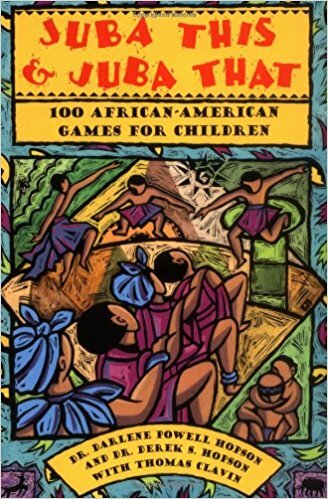 One hundred games and activities celebrate the cultural heritage of the African-American community, providing parents with easy-to-follow instructions, equipment lists, age-range guidelines, and more. Play games from all around the globe! Learn to play Mexican kickball. Practice throwing jackstones the way kids do in Kenya. Discover how to construct a galimoto (wire toy from Malawi) with pipe cleaners. With Kids Around the World Play!, you'll have a great time exploring the traditions of other cultures while you sharpen your wits with the memory game from South Africa called dithwai, or challenge your racing skills in the South Korean flower relay, or make your own cool bilboquet, a toy from France. Filled with games and activities from places near and far, including China, Japan, india, Mexico, Bolivia, italy, and Russia, among many others, this exciting collection also gives you plenty of fascinating facts about the history and culture of each country. All the toys and games can be made or played with just a few simple materials easily found around the house. So get ready for tons of fun and excitement while you discover just how much you have in common with kids around the world! Provides instructions for traditional games that reflect a variety of cultures, including such well-known pastimes as pachisi and hopscotch. Multicultural Games provides ideas and strategies that will help your students develop an awareness of and appreciation for other cultures while enjoying physical activity.Featuring 75 games from 43 countries or cultures on 6 continents, this practical reference is an excellent source for building an interdisciplinary and multicultural curriculum. It can also help educators meet NASPE's national content standards for multicultural awareness at the elementary and middle school level. African Americans throughout our country's history have developed a rich heritage of arts and activities. Now you can discover and enjoy many of these traditions, from celebrating Juneteenth to making African masks to creating unique quilts, right in your own home. TRADITIONAL AFRICAN AMERICAN ARTS AND ACTIVITIES shows you how to do traditional tie-dyeing, how to make and play your own talking drum, and how to join with friends to create your own folktale. You'll learn all about the history and development of jazz, blues, and rap music, and you'll find out how to play fun games like mancala, muraburaba, chigoro danda, and more. This guide to over 50 web sites was created to assist multicultural educators in locating educational resources on the Internet. World wide access to multicultural information and current events in other regions makes the Internet an important educational tool. Teachers through the internet have access to lesson plans, on-line photo galleries, stories, maps, virtual field trip, international radio programming, and e-mail pen pals. In the multicultural classroom these resources can be used to create thematic units. Other sites, such as those devoted to art and geography can supplement an existing lesson. Many of the sites listed are source sites with lessons, pictures, problems and quizzes on-line, and other sites are Index sites which provide extensive links related to a subject of interest. Teachers should keep in mind that the Internet is a temporary resource, and sites move and change rapidly. A listing of professional organizations for multicultural educators is also provided. An extensive index of professional organizations for multicultural educators with links created by the University of Southern California's Center for Multilingual Multicultural Research. The Center for Research on Education, Diversity, and Excellence (CREDE) promotes educators’ use of research-based strategies of effective practice for culturally and linguistically diverse students. EdChange is a team of passionate, experienced, established, educators dedicated to equity, diversity, multiculturalism, and social justice. With this shared vision, we have joined to collaborate in order to develop resources, workshops, and projects that contribute to progressive change in ourselves, our schools, and our society. Founded in 1983, the International MultiCultural Institute (iMCI, formerly the National MultiCultural Institute or NMCI) is proud to be one of the first organizations to have recognized the nation’s need for new services, knowledge, and skills in the growing field of multiculturalism and diversity. The Mid-Atlantic Equity Consortium (MAEC) was founded in 1991, as an education non-profit dedicated to increasing access to a high quality education for culturally, linguistically, and economically diverse learners. In its role as the Center, MAEC has collaborated with the U.S. Department of Education, the Office for Civil Rights, the Department of Justice, state departments of education, districts, and schools to ensure that students are treated equitably and are given access to a rigorous curriculum regardless of race, gender, national origin (English Language Learners), sexual orientation, or religious beliefs. The Center work has led us to work on issues such as the identification and placement of English Learners in supportive and appropriate instructional environments; creating positive and safe schools; increasing participation of girls and students of color in STEM, and addressing disproportionality in discipline. Supporting cultural and ethnic diversity as a national strength. The REACH Center seeks to teach people of all ages the importance of diversity. The REACH Center has established agencies in the United States, Canada, and Australia. A nonprofit children's press established in 1975. Independent publisher of children's literature emphasizing diversity. Publishing multicultural books and literature for children at the primary level, with a particular emphasis on Asian cultures. Saffron Tree provides a variety of children's book choices from India and the United States, as well as literature from all over the world that will help children connect to their cultural heritage and learn about other cultures. Because the attrition rate for new teachers in high-poverty schools averages between 40% and 50% over the first five years of teaching, this investigation offers practical solutions to more than 100 of the daily challenges they face. With an emphasis on pragmatic approaches that can be accomplished in the classroom, the book argues that many of the skills necessary for teaching in urban schools are not properly taught in university programs and that most white teachers simply have to learn by experience. Written from a black perspective and supported by real-life examples and details rather than theory, this helpful compendium of advice and expertise tackles issues of race and class while outlining the many ways in which the American school system is designed to contribute to a teacher's struggle. What would a classroom look like if understanding and respecting differences in race, culture, beliefs, and opinions were at its heart? Welcome to Mary Cowhey's Peace Class in Northampton, MA, where first and second graders view the entire curriculum through the framework of understanding the world, and trying to do their part to make it a better place. Woven through the book is Mary's unflinching and humorous account of her own roots in a struggling large Irish Catholic family and her early career as a community activist. Mary's teaching is infused with lessons of her heroes: Gandhi, Eleanor Roosevelt, Helen Keller, Martin Luther King, and others. Her students learn to make connections between their lives, the books they read, the community leaders they meet, and the larger world. If you were inspired to become a teacher because you wanted to change the world, and instead find yourself limited by teach-to-the-test pressures, this is the book that will make you think hard about how you spend your time with students. It offers no easy answers, just a wealth of insight into the challenges of helping students think critically about the world, and starting points for conversations about diversity and controversy in your classroom, as well as in the larger community. Eight case studies help to show how using cultural reciprocity to build a framework for relationships can help to strengthen interactions between special education professionals and families. Harry, Kalyanpur, and Day, all special education scholars, examine the culture of special education itself. Imagine a school with a diverse student body where every student feels safe and valued, and all students—regardless of race, culture, home language, sexual orientation, gender identity, academic history, and individual challenges—have the opportunity to succeed with challenging classes, projects, and activities. In this school, teachers notice and meet students' individual instructional needs and foster a harmonious and supportive environment—and students feel empowered to learn, to grow, and to pursue their dreams. This is the school all our students need and deserve. Educating teachers to work well in multicultural classrooms has become an all-important educational priority in today's schools. In Crossing Over to Canaan, Gloria Ladson-Billings details the real-life stories of eight novice teachers participating in an innovative teacher education program called Teach for Diversity. She details their struggles and triumphs as they confront challenges in the classroom and respond with innovative strategies that turn cultural strengths into academic assets. Through their experiences, Ladson-Billings illustrates how good teachers can meet the challenges of teaching students from highly diverse backgrounds--and find a way to "cross over to Canaan." She offers a model of teaching that focuses on academic achievement, cultural competence, and socio-political consciousness. Drawing from her own experiences as a young African-American teacher working in Philadelphia, she successfully weaves together narrative, observation, and scholarship to create an inspirational and practical book that will help teachers everywhere as they work to transcend labels and categories to support excellence among all students. This work explores the quadruple disadvantage faced by the parents of poor, minority, handicapped children whose first language is not that of the school that they attend. The author's ethnographic study of 12 low-income Puerto Rican American families serves to illustrate how the present structure of the special education system disempowers parents, excluding them from the decision-making processes that categorise their children as "handicapped" - and ultimately, often place them at a permanent educational disadvantage. The achievement of students of color continues to be disproportionately low at all levels of education. More than ever, Geneva Gay’s foundational book on culturally responsive teaching is essential reading in addressing the needs of today’s diverse student population. Combining insights from multicultural education theory and research with real-life classroom stories, Gay demonstrates that all students will perform better on multiple measures of achievement when teaching is filtered through their own cultural experiences. This bestselling text has been extensively revised to include: expanded coverage of student ethnic groups; a new section on standards and diversity; new examples of culturally diverse curriculum content; more examples of programs and techniques that exemplify culturally responsive teaching; an emphasis on positive, action-driven possibilities in student–teacher relationships; and new material on culturally diverse communication, addressing common myths about language diversity and the effects of “English Plus” instruction. With personal anecdotes, case examples, and detailed theoretical discussions, this book brings to light the potential impact of cultural assumptions on parent–professional interactions in special education. Essential reading for future teachers, it helps them become aware of and work to cast aside traditional stereotypes — about other cultures and their own — in order to work effectively with students' families. This textbook also helps educators understand the importance of developing education plans that will enhance children's learning and respect their cultural beliefs. Undergraduate and graduate students of special education will find ways to improve communication with parents and learn to more effectively teach children with diverse cultural heritages. Do You See What I See? offers leaders, managers, and human resource professionals a unique and practical resource for understanding the behavioral subtleties and nuances that affect the retention of people of color within organizations. Through the imaginative use of a fable, authors Janice Fenn and Chandra G. Irvin are able to show different points of view of leaders, managers, and newly recruited POC. In the fable a mirror comes to life and offers insightful reflections that help executives and managers understand what it takes to retain POC in a highly competitive marketplace. Step by step the authors clearly show what happened, what should have happened, conclusions that were drawn, and conclusions that should have been drawn. The fable offers the opportunity for leaders and managers to identify and address similar issues in their real life organizations. Teachers are the central players in building a multiracial and multicultural democracy, and the schools where teachers work are one of the primary institutions where a new society is born. The 17 chapters in this volume provide resources for people seeking to build fully democratic schools and to make the schools agents of democracy in an increasingly diverse United States. The chapters are divided among four parts. Part 1, "Multicultural Education: An Issue at the Heart of Democratic Education," describes the intellectual framework and theoretical context for reconstructing schools. Part 2, "The Practice of Multicultural Education: Doing the Work," presents the voices of teachers from different racial and ethnic backgrounds and their reflections on the possibilities, constraints, and dilemmas of multicultural education. Part 3, "Developing the Curriculum of Multicultural Education: Revisioning the Canon and Curriculum of the Schools," helps teachers enter new areas of study and adopt alternative perspectives on newly emerging, contemporary, and traditional disciplines, such as the perspectives that are expressed in Asian American, African American, and Puerto Rican literature. Part 4, "School Structures that Foster Multicultural Education: Shifting the Power, Shifting the Players," focuses on the power arrangements, perspectives, and personnel policies needed to change the basic structures of schooling so that, in the future, the voices of the traditionally excluded become central to the definition of quality education. Each chapter includes a bibliography. In this 10th Anniversary Edition of her popular text, Sonia Nieto reviews where we have been and where we should be going in our pursuit of creating multicultural learning communities in our schools. With a new Introductory Chapter and a new Epilogue, Nieto addresses some of the changes we have experienced during the past decade that help explain the current sociopolitical environment, our increasing diversity, the altering conditions in schools and in society, the influence of poverty on learning, and the impact of NCLB on classrooms and schools. This updated edition of The Light in Their Eyes focuses on the significant role of teachers in transforming students' lives. It considers recent theories, policies, and practices about the variability in student learning and culturally responsive pedagogy and examines the importance of student and teacher voice in research and practice. It also provides an update, in their own words, on former students whose journal entries were included in the first edition. How does the home culture of Latino immigrant students differ from the mainstream culture of U.S. schools? Why is it important for teachers to understand the differences? How can educators take advantage of students cultural traits to improve classroom management, student performance, and school-parent relations? Carrie Rothstein-Fisch and Elise Trumbull answer these and many other questions by drawing on the experience and collective wisdom of teachers in the Bridging Cultures Project, a five-year action research study of elementary classrooms with high percentages of immigrant students. The authors present a simple framework for understanding cultural differences, comparing the individualistic culture that prevails in American education with the collectivistic culture that characterizes most of the world s population, including many of the Latino immigrant students in U.S. classrooms. At the heart of the book are teacher-developed strategies that capitalize on the cultural values that these students and their families offer, such as an emphasis on helping, sharing, and the success of the group. If you teach physical education at the middle or high school level, you know that holding students’ interest can be a challenge. Teens don’t want to repeat the same old games they’ve been playing since grade school. What if you could introduce new activities that would renew your students’ interest, improve their self-esteem, and help them gain a better understanding of other cultures? A Multicultural Approach to Physical Education enables you to do just that. This book offers the following: (a) 70 games and activities from 24 cultures; (b) The authors’ new teaching strategy—a step-by-step process that tells you exactly how to teach games and sports from other countries; (c) Activities that don’t require any special equipment, so you can implement them even if you’re on a limited budget; (d) Easy-to-use assessment strategies. Learners with Special Needs in the Twenty-First Century provides general and special educators innovative information that address the road blocks to effective practice such that diverse learners will be appropriately; identified, assessed, categorized, placed and instructed. The book provides those who instruct diverse learners comprehensive, creative and best practice chapters by scholars in the area of multicultural education. The book is an important addition to the education of multicultural learners with special needs as it provides much needed direction for the effective instructional practices for today's diverse students. The book can be used as current best practices for special and general educators as well as school administrators. Because of recent demographic changes in our society, general and special educators are challenged to look for innovative ways to maximize all students’ potential in school programs. Multicultural Special Education: Culturally Responsive Teaching is a timely book that examines multiculturalism, disability, and education and focuses on how to make education better for all multicultural learners. Contributions from leading experts examine categories of exceptionalities (from multicultural perspectives), while integrated case studies and chapter material focus on ways to be an effective and culturally responsive educator. Divided into four parts, this new offering examines the foundations of multicultural special education; the categories of exceptionalities from multicultural perspectives; lifespan issues; and the future of the field. rooms. It will prove indispensable to teachers, administrators, and scholars alike. Take Action! Lesson Plans for a Multicultural Classroom is for all teachers striving to meet the needs of students in today's diverse K-12 classrooms. Take Action! offers 27 practical step-by-step multicultural lesson plans organized around seven microcultures: culture and identity, race and ethnicity, abilities and disabilities, religion, socioeconomics and class, language, and gender and sexuality. Each chapter includes three lesson plans at three different grade levels (elementary, middle, and secondary). Each lesson plan is presented with an accessible and predictable format, outlines the content areas addressed, provides a recipe-stype list of materials for all the activities in the lesson plan and action projects, and so much more. Connections to national professional standards and benchmarks for K-12 education as outlined by the Mid-continent Research for Education Learning are also included in every lesson plan. Today, teachers are struggling to develop lesson plans for their increasingly multicultural and diverse student population. What do they do and how do they do it? The sharing of ideas among teachers is the only way they can enhance their lessons and increase their awareness. This book gives educators a unique opportunity -- it illustrates the "how" of multicultural education once the "why" is understood. Teachers and administrators have been waiting for a book like and here it is! Here are real, working classroom teachers struggling with the issues of multicultural education on a variety of levels, in various contents areas, and through individual personal interests. These teachers tell their stories, present their curriculum units, discuss their concerns, and describe themselves - all with the aim of helping other classroom teachers find their own answers about what to do and how to do it. Above all, this book is an opportunity for teachers to be heard as they struggle with the area of teaching for a changing and increasingly multicultural classroom and world. Teachers, educators, school administrators. This handbook reflects the central content discussed in each chapter of "Cultural Diversity, Families and the Special Education System", and offers a range of activities from which to choose, including role plays, "reality checks" and class debates. When nearly everyone else is telling kids no—“No, do it this way . . . No, I don’t want to hear what you think . . . No, sit down and pay attention”—Judy Logan says yes, to a child’s passions, interests, hopes. The results have been newsmaking; her students blossom academically, winning essay contests, prizes, and entrance to the country’s best colleges. Armed with a strong sense of who they are and what they think, her students also blossom personally—resisting peer pressure, understanding racial and gender stereotypes, and connecting to the world they live in. 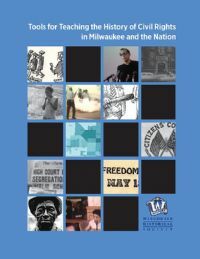 This powerful, user-friendly curriculum is designed to help teach middle and high school students the history of the Civil Rights Movement in Milwaukee and the South. Each of its twenty lessons includes background information, facsimiles of historical documents, classroom activities, and thoughtful questions designed to spark critical thinking. Students will learn to connect their lives today with the people who worked 50 years ago to make the United States honor the promises of the Founding Fathers.